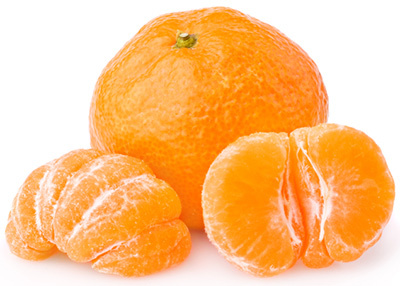 The Daisy mandarin’s appearance differs from the Imperial mandarin and enters the market several weeks after the beginning of the Imperial season. The Daisy has a great tree life and good flavour with little to no rag. Acid levels do not decline significantly as the fruit ages on the tree. The fruit is medium to large (6-8cm in diameter). The skin colour is red-orange and glossy in appearance. Trees are vigorous, upright, open and thornless. Young trees on Trifoliata, citrange, Cleopatra and swingle rootstocks are strong and vigorous. Trees on Trifoliata produced more consistent yields. The fruit was able to tolerate temperatures of 46 degrees in Jan 2001 without significant heat damage. Soft new flush growth is very sensitive to spray damage and has been potch marked with zinc manganese plus oil sprays in spring.